Instructions for pointing your OVH custom domain name at your Fabrik site. Go to the OVH site and click the “Web Control Panel" link at the top of the page. Once logged in you will see your “Domains" list down the left hand side. Click on the domain you would like to use for your Fabrik site. 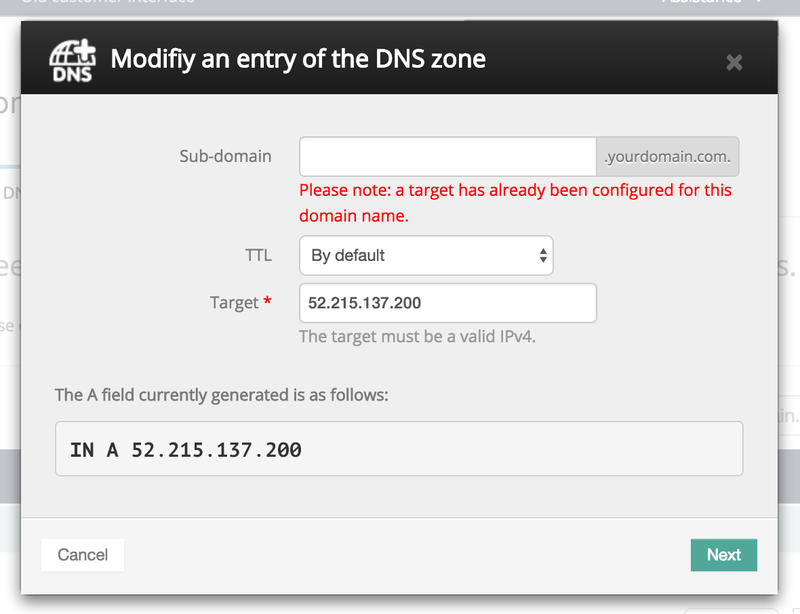 On your domain page you will see the General Information, but you need to click the DNS Zone tab, here you will see all your DNS entries for your domain. Right now we are only interested in the A records so click the filter dropdown to just show A records. 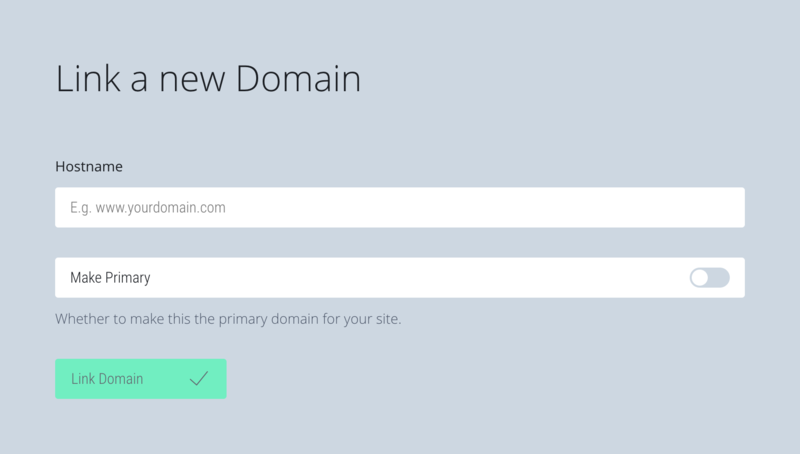 In our example 'yourdomain.com’, click the pencil icon to edit that entry. Change the Target to the Fabrik servers IP address 52.215.137.200. If you have both the A records above then change both but if you only have the one for your root domain 'yourdomain.com’, change that one. So if you had both, yours should look like below and you are done you just need to link your domainin the Fabrik dashboard. If the Target for the domain ‘www.yourdomain.com’ is set to ‘yourdomain.com’ then you can leave it as it is. All this means is when someone goes to the www sub-domain it is telling the DNS to point to where the root of your domain is pointing to i.e. Fabrik servers IP address. If you do not have the CNAME for www then you will need to add a new DNS entry, click the button Add an entry in the top right. Simply set the type to be an A record put your subdomain as www and the target as 52.215.137.200 and you will be done once that is saved.